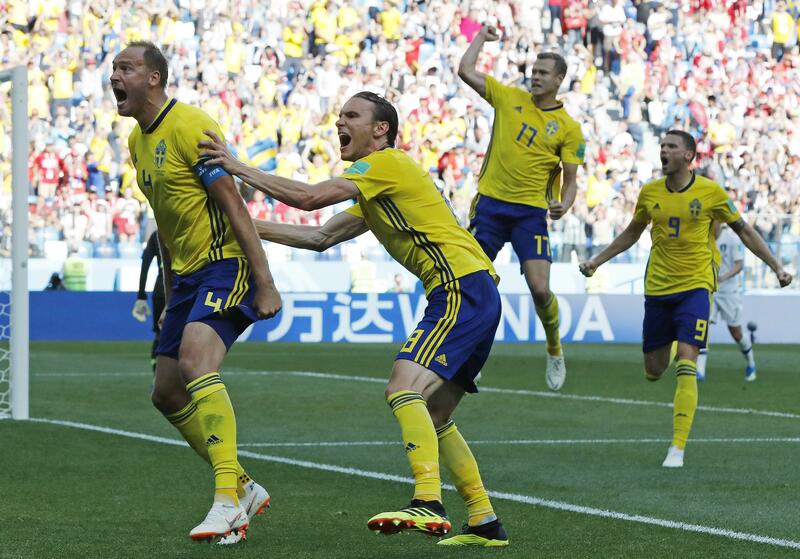 NIZHNY NOVGOROD, Russia – Sweden got the break it needed from the video review system, and team captain Andreas Granqvist didn’t waste the chance. “There was no doubt it was a penalty and should have been called right away,” Sweden coach Janne Andersson said. It was the third penalty to be awarded because of a video review in the first 12 games at this year’s World Cup. France and Peru also benefitted from the technology, though the Peruvians missed their penalty kick. “We do agree that it was a good call,” South Korea coach Shin Tae-yong said. Although Sweden used the video review to win, it was the better team and showed most of the attacking intent. The Swedes just couldn’t beat goalkeeper Jo Hyeon-woo until the penalty. Shin fielded Jo, the team’s third-choice goalkeeper, because he is the tallest of the three keepers and the Koreans wanted to use his height against the Swedes. Published: June 18, 2018, 6:31 p.m.